CO.STARTERS is a 10-week program that equips aspiring entrepreneurs with the insights, relationships, and tools needed to turn their business ideas into action. Unlike traditional platforms, it applies the lean business model methods popular with high-growth startups to businesses of all kinds. Learn the ins and outs of how to turn a passion into a sustainable and thriving small business. 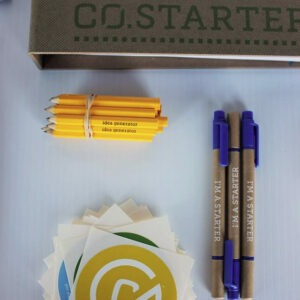 If you have a business idea that is ready to be explored, or if you have already started your business and you are searching for clarity in marketing and a fuller understanding of running a successful business, CO.STARTERS is for YOU. The one essential element is that you have a concept that you are ready and willing to share and grow in a collaborative environment. Get to know some of our CO.STARTERS Graduates! $575. The cost for the program is $450, plus a materials fee of $125. Each cohort meets once a week, for three hours. Financial assistance may be available; inquire when submitting your application. 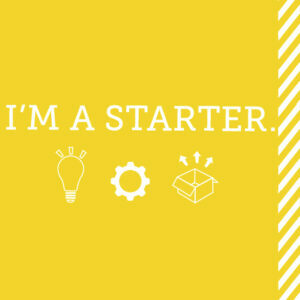 CO.STARTERS is an action-driven, collaborative process with a small and supportive group of like-minded people. Led by a facilitator who is an experienced entrepreneur, you’ll identify your assumptions about why and how your businesses will work and then talk to customers in order to validate your ideas. This approach enables you to rapidly uncover flaws in your concept and find viable models more quickly. You’ll leave the program with a deeper understanding of how to create a sustainable business, articulate your model, and repeat the process with your next great idea. In addition, participants receive one-on-one time with the facilitators, support from CREATE Birmingham Staff during and post graduation, membership in the alumni network, and access to the CO.STARTERS Funds and Loan Program as well as CO.SHOP + CO.WORK. We love the collaborative nature of CO.STARTERS. You will be learning from each other and encouraging each other, truly building a network that will help your ideas grow in the program and beyond. 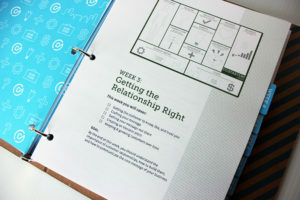 We believe by making the concepts and language easy to understand, we will help starters focus on the practical steps to launch, moving them quickly toward their goals. Each cohort meets Monday Nights from 6:00 – 9:00 pm for three hours. and to Create Birmingham’s investors for supporting CO.STARTERS.